Availability: JIPMER MBBS 2019 Application Form will be available from 6th March 2019 onwards on official website of JIPMER. Candidates can check application process and steps involved to complete application form. Mode of Application: Forms are only available online, so applicants are required to visit JIPMER MBBS official website to start process of Application. Photograph should be a recent color passport size photograph with a light background. Black & White / Polaroid photographs are not acceptable. Photograph must be taken with a placard while placard is being held by candidate indicating name of candidate and date of taking photograph as shown below. In case name and date are written on the photograph after taking it, application will be rejected. Name and date on photograph should be legible. Candidate must have in softcopy/digital of Passport size photograph (30mm width x 45mm Height) and save it as “Candidate Photograph.jpg” provided by the photographer. Size of photograph must be minimum size 10KB, as maximum size limit is 80KB. Candidate has to affix his/her signature in an area of 80mm Width X 35mm Height on paper with a black ballpoint pen. Scan that paper. Cut Signature is of 80mm Width X 35mm Height and can be saved as “Candidate Signature.jpg”. Keep size of Signature minimum size 10KB, as maximum size limit is 80 KB. Candidates who belong to catergories other than UR & P-UR should upload his/her caste/community certificate. Candidates should upload his / her disability certificate if they belong to OPH/P-OPH. Candidate should scan Caste/Community/OPH certificate (whichever is applicable) and save it as “Community Certificate”/ “OPH certificate” (whichever is applicable) as JPEG/JPG/PDF format. Mode: Candidates can pay JIPMER MBBS 2019 application fee online. 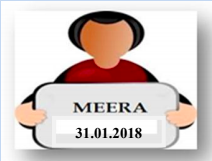 Name of the Applicant: Candidates appearing for JIPMER MBBS 2019 are required to enter their full Name (as it appears in your SSLC/10th Std Marks Card), In the case of a candidate who has changed his/ her name for any reason, the original proof of the same has to be produced at the time of admission. Date of Birth: Candidates need to enter their date of birth exactly as recorded in your High School or equivalent examination certificate in dd/mm/yy format. Mobile No: Candidates need to enter their personal mobile phone number. Then, candidates need to enter the OTP received so as to verify the mobile number entered. Applicants Unique ID Proof: Candidate needs to select the ID proof that candidate will bring in original at the time of exam and admission process from list provided. Exam Centres: Three choices will be given to the candidate to fill the JIPMER MBBS 2019 Exam centres. They should fill it carefully and according to their convenience. Are 12th and 10th marks required to give JIPMER MBBS? Yes, the candidate should have passed 12th grade and 10th grade with Biology, Physics, and Chemistry as one of the core subjects to be eligible for JIPMER MBBS exam. Your 12th marks will be considered for your admission process and the exam registration while your 10th marks are just for verification and for the university to analyse your educational background and proficiency. 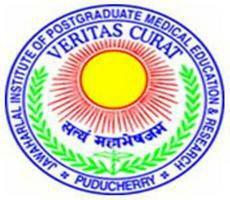 Application Fee for JIPMER MBBS 2017? What is the Application fee for the JIPMER MBBS 2017? After filling the form candidates have to pay the application fees of Rs 1000/- for the candidates belonging to general category, and Rs 800/- for the reserved category candidates (SC/ST). OPH candidates are exempted from application fee. When will the application form release for JIPMER MBBS 2017? The JIPMER MBBS 2017 application form will be released on 27th March 2017. I don't have a debit card, what other modes of payment is available for Payment? The Application fee for JIPMER MBBS can also be paid offline. Last date of submission of forms. When is the last date to submit JIPMER MBBS application form? The last date to submit the application form is 3rd, May 2017. What is the mode to pay the application fee for JIPMER MBBS exam? What is the application fee for JIPMER MBBS exam? From when will the application form for JIPMER MBBS be available? The form will be available from the month of March. It will be available till the month of May.